Some of us make the trip only to discover it. The very design Matt Museum, has become in a few days one of the attractions of Lisbon. Designed by the English architect Amanda Levete – a name to remember – this building imposes its graceful curves on the banks of the Tagus, close to the Tower of Belem. 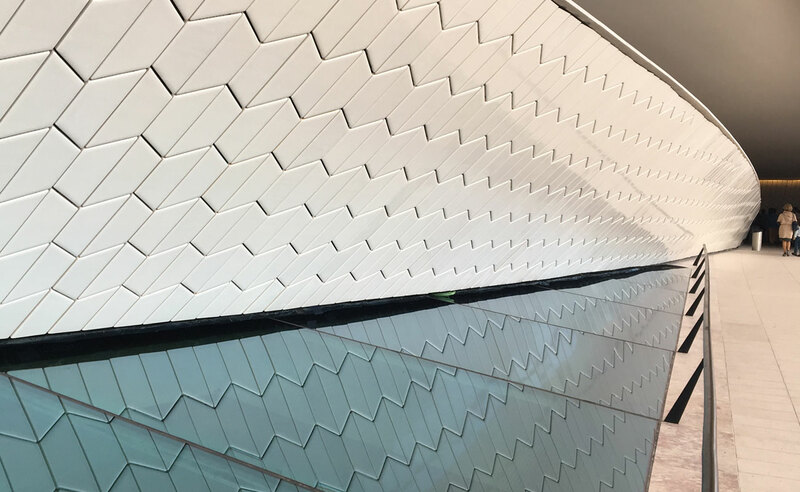 Fully tiled with scales in immaculate ceramics, this UFO is based on the most central Tejo EDP museum, the national power company, which initiated the project. 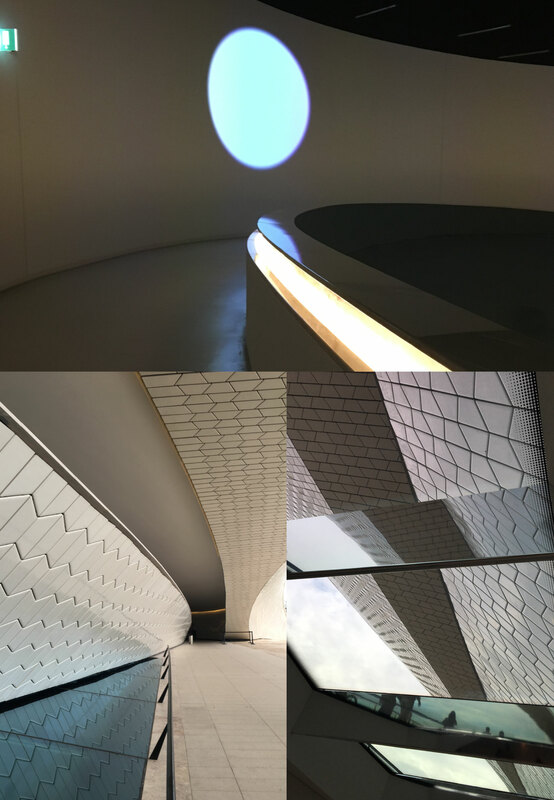 Inside, 3,000 m2 of exhibition space, devoted to contemporary art, thrive in inspired undulations. Directed by a former curator from MoMA’s New York, the museum should set the bar high. The first exhibition will open with the sound and sculptural installation “Pynchon Park” by the French visual artist Dominique Gonzalez-Foerster (until March 20th). Next spring will also see the opening of gardens and an ultra design restaurant designed by Philippe Starck, occasional Portuguese resident. Meanwhile, the public can freely enter the Maat to frolic in the lower part where a vast atrium allows aesthetes of all ages to collapse on resting pads. Once refreshed, they can climb on the roof, reveling a unique view of the River Tagus.